The name Banswara entails the entire heritage of the small district in south Rajasthan. Meaning “Bamboo Country,” Banswara was, and still has an abundance of bamboo forests and products sprouting within its boundaries. The lush greenery of gardens and lawns, and the diverse fauna make this place an impeccable retreat into the loving arms of nature. 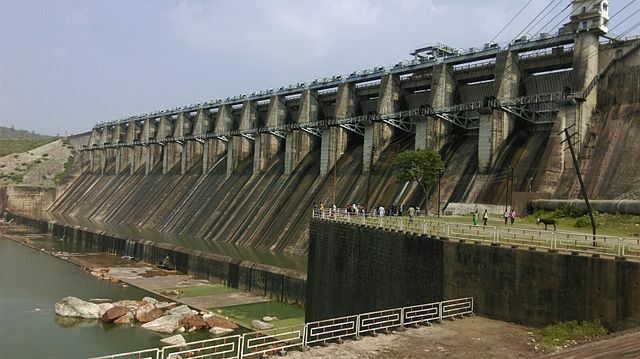 Added to this, the dazzling Mahi river flows through its terrains, completing the natural beauty package for Banswara. The natural charm of this place is only seconded by its historic and cultural artefacts. 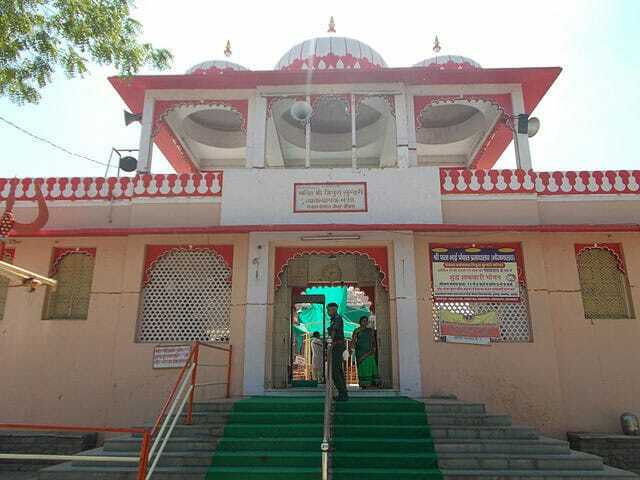 A plethora of temples and other spiritual sites are prevalent in Banswara, adding another dimension of humanity to the cultural ambience of the place. The place is always pulsating with annual festivals, relating to religious or cultural events, adding to the upbeat charm of the district. Head on over to the following locations in Banswara that an absolute can’t-miss feature of this lively town. The dramatic and inspiring black stone deity of Tripura Sundari, locally known as Turtia Mata, is a key place of worship for a number of devotees. The deity has eighteen hands, each symbolising a specific belief. One of the Shakti Peeths, the goddess is seen riding on a tiger and the Shrichakra at the idol’s feet is revered to be one of the most potent symbols of the Tantric school of thought. All around the temple, there are many different idols that have been well maintained by the authorities. Thousands of worshipers visit Tripura Sundari to seek pilgrimage. The temple organises an annual Dandiya festival during the festival of Navratri. An important place of worship for the Bohra community of Muslims, Abdullah Pir Dargah of the Muslim saint Abdul Rasul is an exquisite place to visit once in your lifetime. The pearl white mausoleum, the shrine of the saint is visited by many followers to seek blessings and to achieve a pleasant state of mind. A cultural festival Urs is held annually and is celebrated piously by the community members. Be sure to visit this key tourist destination for a healthy and peaceful state of mind. A scenic lake, with a blanket of lotus flowers lightly drifting by the ripples in the water, the Diablad Lake makes for an almost ceremonious recreational spot. Situated by the lake is the Badal Mahal, translated to Palace of Clouds, that rightly captures the feeling you get when you are in the company of this lake. Enjoy a soothing day at this lake by cruising in a boat ride, strolling along the lake for the best walk of your life or embrace spirituality, and visit the temples of Hanuman and Krishna on the banks of the lake. Whatever you do, do not the miss the enchanting view of this lake in Banswara at any cost. 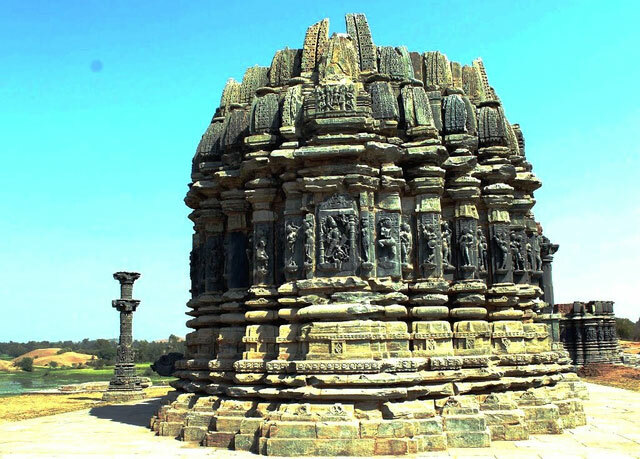 The district of Arthuna serves as a living lesson in history through the ruins of numerous Hindu and Jain temples in the area, providing a peak into the 11th-15th centuries. Some beautiful artwork emerges even from remnants of these temples, such as the statue depicting Shiva, Parvati and Ganesh; in a intertwined position. One of the Shaivite temple in a village around Arthuna has the Nandi Bull, the vehicle for Lord Shiva, carved at the entrance, as if guarding it from intruders. Similarly, there are many Jain temples, making Arthuna a holy place to visit to satisfy all your spiritual needs. Harnessing the prowess of the Mahi River, is the Mahi Dam, built under the Mahi Bajaj Sagar Project, is a great picnic spot for tourists. The gushing, frothy and white waters escaping from the gates of the dam make for a beautiful artificial waterfall. Nearby, the place also has gardens and fountains to make your picnic even enjoyable. The Mahi river in itself is a scenic spot to behold. You can spot turtles and even crocodiles in its waters at times. Banswara owes it to the Mahi River the tag of being called City of Hundred Islands. The gardens with the deep greens and the lakes with their clarities are enough to motivate you to visit the city of Banswara. More than the history, culture or spirituality that oozes out from each corner of this town, visit this place for discovering a completely new way of holidaying and spend some time in the company of nature and yourself.